Aggressively designed and multi-purposed. 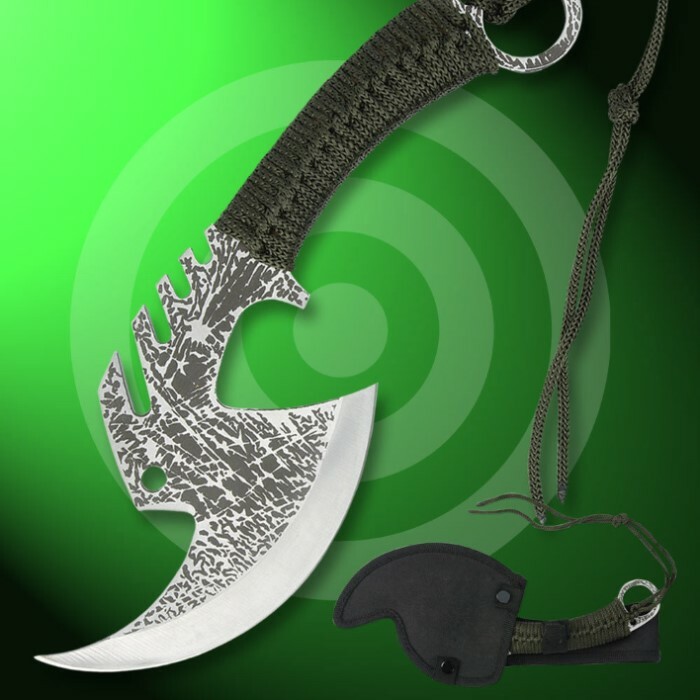 This solid steel slasher is right at home as a close quarters battle blade, for recreational use as a small throwing axe, or for fending off zombies in a post-apocalyptic wasteland. 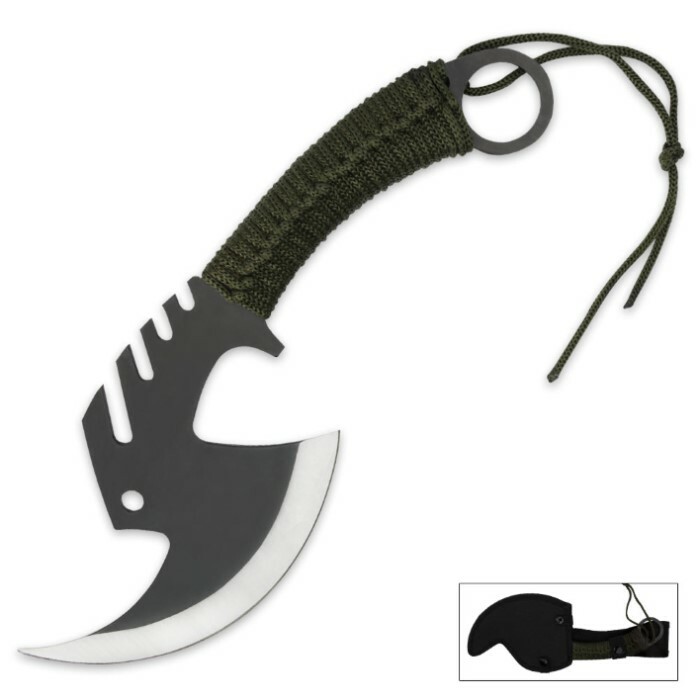 Forged from a single piece of stainless steel and finished in black, this full tang piece features a cord wrapped handle with ring. Includes black nylon sheath with belt loop. Measures 11 1/2 in. overall.